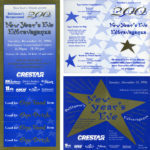 Frank was a Graphic Designer for the Baltimore Office of Promotion from 1995-1996. (the quasi-city agency is now named the Baltimore Office of Promotion and Arts.) 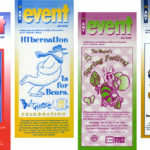 As such, he was responsible for designing printed marketing for city-wide festivals, parades, workshops, tours, concerts, and other events. 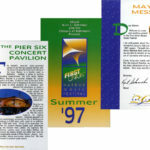 Formats included ads, posters, invitations, calendars, newsletters, and programs. Event wayfinding signage and maps were also developed, produced and installed.